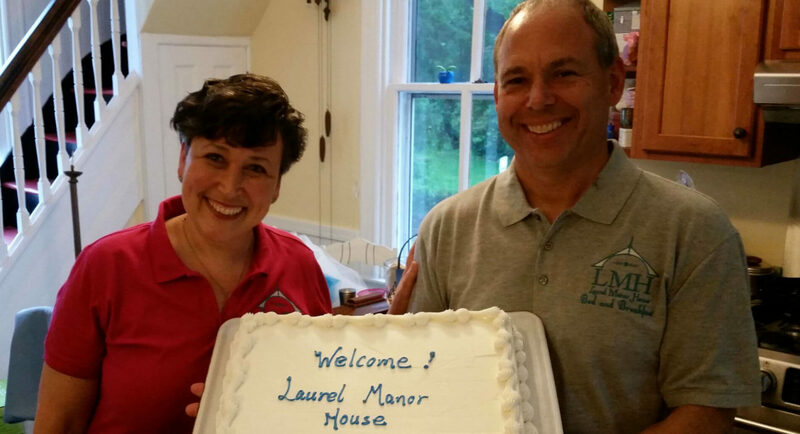 Your innkeepers, Dave and Lisa Everett, are pleased to invite you to visit Laurel Manor House Bed and Breakfast, their lovingly renovated historic inn in Central Maryland. 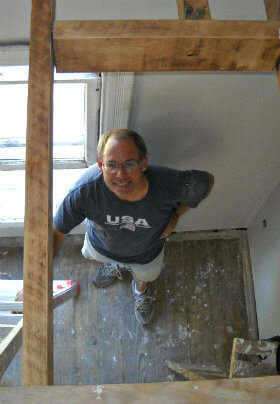 Lisa grew up in Northern Virginia; Dave was born and raised in eastern Pennsylvania. They met at Virginia Tech, in Blacksburg, Virginia, where Lisa was in the College of Business, and Dave was studying electrical engineering. They married in 1987 and raised two daughters, Megan and Kate. For more than 20 years, Lisa was a full-time mom and volunteer—at their church, as a Girl Scout leader, and with the PTA. Now she volunteers as a docent at the Laurel Museum, serves on the board of the Laurel Historical Society, and performs as a member of the Saint Francis of Assisi Handbell Choir. Dave designs and builds spacecraft, employed by NASA as a systems engineer. In addition to gardening and home remodeling, his hobbies include playing ultimate Frisbee with the Goddard Ultimate Frisbee Club, and curling as a member of the Potomac Curling Club. In the Laurel Manor House den, you’ll find Dave’s collection of NASA mission posters, photos, and space-related paraphernalia. As the youngest of six children, Lisa developed a passion for cooking, sewing, entertaining, and antiquing—and the talent to see the beauty in time-worn but well-loved objects. Dave, as an engineer, likes to fix things. In renovating Laurel Manor House Bed and Breakfast, they retained most of the home’s original doors, moulding, and hardware and furnished it with a mix of new and second-hand, with family heirlooms and estate sale finds. Together they have honored the spirit of Edward Phelps in bringing his beloved home up to the standards of a modern era. Together they welcome you to enjoy the ample comforts and charm of Laurel Manor House Bed and Breakfast. Edward Phelps was a young, successful businessman when he built his home on the outskirts of downtown Laurel in 1888. Mr. Phelps was elected mayor of the city in 1897 then reelected for an additional six terms. During Mayor Phelps’ tenure, the residents of Laurel witnessed the installation of electric lights, waterworks, an electric railroad between Laurel and Washington, DC, and the construction of the county’s first public high school. Edward and his wife Savilla raised nine children while living at 1110 Montgomery Street. In 1915, Savilla died and Edward sold their home. Subsequently, the house was privately owned for more than half a century, until 1971, when it was purchased by Laurel Assembly of God for use as a parsonage. In April 2011, Dave and Lisa Everett purchased the property with plans to create a bed and breakfast. 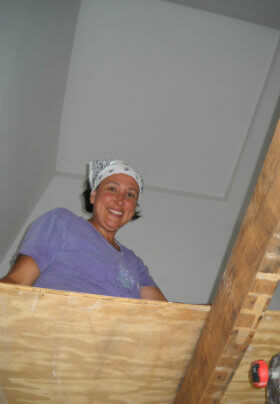 For seven years the Everetts worked on home renovations. And just as Edward Phelps spent seven years as mayor improving the city, ushering it into the 20th century, the Everetts spent seven years bringing this old Victorian house up to 21st century standards of comfort and efficiency.